It was late in the evening at the local YMCA which has a nice gym that I used to train frequently with my wife. The weights were clanking with the hustle and bustle of young bodies lifting various weights. I was in between sets of bench press and pull ups when a group of young athletes came up to me and started chatting about training programs and such. And then when I was about ready to go back to my next set the topic of supplements came up. The reason I say this is because most supplements aren’t worthwhile and end up being just another way of scamming the local populace out of their hard earned dollars. I train a lot of younger athletes and time and time again the topic always seems to surface regarding supplementation, generally between sets of squats and bench press. And I’ve been there. I was that typical college student, reading the through the muscle magazines, scouring the articles for some relative information on helpful supplements to take to get bigger, stronger, lose fat and become a complete beast in the gym or on the playing field. There was always some sort of plant hormone or new muscle building supplement that was top of the line. Some pro-hormone that helped peak testosterone levels for hours after training and made it almost impossible not to grow. A few years later and a lot of wasted dollars thrown into the giant supplement industry cogs, I got smart. I was still not the magical beast that I wanted to be and no amount of supplementation was helping me get there. Yes, I’d made some descent progress in the gym, but that was all from hard work, resistance training regularly (often over zealously) and learning all I could about the body. After reading and researching every sort of nutritional program and supplement information I could get my hands on, I finally figured it out that no supplement would ever come close to a sound training plan and a good, nutritious diet. Some supplements helped, yes, that’s true. But in the long run most of them were just very expensive toilet cleaners. So just what kind of unicorn-fairy dust is this supplement industry? Well, let’s just say it’s a complete marketing ploy to get you to buy more magazines and more lines of various powders and pills from supplement companies with the latest and greatest product that touts a lot of serious claims like 10lbs of muscle in 30 days, add an inch to your chest and arms, burn fat while you sleep and wake up ripped. To set the record straight, none of these ideas has ever happened to anyone. And the scary thing is that a lot of supplement companies don’t care that there stuff doesn’t even work. Half of the time you can expect to have some local kids stuffing some blend of white powders (ie. like sugar or a floury substance) and a few grams of actual product into some empty capsules and call that a supplement for a few bucks an hour. Just check out this little video clip to drive the point home for good on the topic of steroids and the supplements industry. It’s a real eye opener. Especially focus in on about the 3:00 min and 10:00 min mark! I’m sure you want these guys prepping your next line of fat burners, right? Alright, so what can you tell your kids about some useful supplements at this age (12-18). There really isn’t a lot out there that is going to be worth both the time and money spent on the actual supplements. As younger athletes more time should simply be spent training, developing proper movement patterns and eating real foods than finding the next latest and greatest supplement line. In fact they’ll probably learn a lot more just taking some cooking lessons and learning how to properly prepare food. As my Mom used to say, “You like to eat, so you’d better learn to cook!” That not only that but it pays off big in life, but with the future girl-guy friends as well, when that time period comes around. Whey Protein. Yep, just your everyday, run of the mill whey protein. Now naturally there are a lot of different brands out there, but just regular old 100% whey protein or a nice blend of whey and casein proteins are nice. Stick with the ones that have a fairly low amount of carbohydrate (and/or sugars), along with a low level of fat. Generally these will have about 20 grams of protein per scoop. Why is whey protein so awesome! Well, first off it’s full of branch chain amino acids that are easily digestible and it’s basically just a byproduct of milk production without the extra fat and calories as milk. Not that this age needs to worry so much about calories, but if they’re looking to gain some good weight without packing on a lot of body fat, adding a couple scoops of whey protein to some whole milk post workout will help with gaining some lean tissue. Creatine Monohydrate. Now creatine has gotten everything from being a steroid to a contender for kidney dialysis in the media; however, creatine is an awesome supplement that can make a big difference in an athlete’s explosiveness and strength sport events. Creatine is a naturally occurring substance in the body and can be found in foods like red meat (although in much reduced quantity). The thing about creatine that helps it work is the fact that it requires a good consumption of water to be effective, as it tends to volumize or maximize the bodies capability to store water in the cells. This can lead to a puffy sensation, but creatine can also serve as a donator for our stores of immediate energy in the form of phosphocreatine. This conversion helps us with having a bit more substrate to produce maximum power and explosive events. Key note: Creatine isn’t such a great supplement if all you’re interested is long distance events like the 1600m or cross-country. But for explosive sports like shot-put, discus, javelin and Olympic weightlifting its unparalleled. And you don’t need a loading dose for it to be effective. Just a 5 gram serving daily is enough to properly facilitate a response. Fish Oil. Now fish oil contains all the essential Omega 3 and Omega 6 fatty acids in the right combination. You can go with other forms of essential fatty acid supplements, but as far as most research is concerned fish oil tends to be the best in terms of absorption and digestibility. Having enough Omega 3’s in the diet is important to keep our bodies cells operating efficiently, increase membrane fluidity, improve cardio-vascular function, anti-coagulation effects and reduce inflammation within the body. Omega 3’s not only help out with these issues, but they also help balance out the excess of Omega 6’s we tend to get from over consuming vegetable oils (ie. corn, safflower, and meat). The best ratio is more of a 1:1 ratio of Omega 3 to Omega 6, which in today’s society is very rare to find and unless one is already eating plenty of fatty fish, algae, walnuts, etc. It’s a great addition to a younger athletes nutritional menu as it will help reduce their inflammatory responses and help them stay healthy overall. About a 500-1000mg daily is a good level to start at with higher inflammation requiring a bit more. Beta-Alanine. Beta-Alanine is a non-essential amino acid that has been shown to increase muscular endurance and lean muscle tissue by increasing muscle carnosine levels from 34-52.2%. This has also been shown to increase isometric endurance of 11.4%, lactate threshold by 9% and ventilatory threshold of 9.6%. What all this means is that beta-alanine can definitely help bolster the body in long-term endurance events and give them a little boost during anaerobic sprint work. The only major side effect from a dose of 3-6 grams per day has been a slight tingling feeling when exercising. This would be the supplement of choice for an athlete looking to perhaps get into bodybuilding or some longer events like the 400m or 800m dash. Combined with creatine it helps bolster both short-term anaerobic power and aerobic endurance capacity. Multi-Vitamins. Now a multi-vitamin and mineral is perhaps another smart supplement that you can safely give your kids. The best ones are the ones where you look for the USP labs symbol. This proves that the company has gone to a non-biased research company to have their product tested to ensure that they have the exact ingredients as listed upon their label. The sticker looks like the one depicted below. The multi-vitamins and minerals serve as co-factors for our body’s cellular machine or as our bodies “Minions”. They do the work of pulling the levers and gears on our body’s factories. When these factories get out of control or they have too many of the “Evil Minions” (free radicals from toxins or over exertion) our body doesn’t function appropriately. Or if you don’t have enough Minions to manage all of your factories your performance just isn’t up to par. Keep in mind a vitamin supplement is only as a necessary filler in the gaps of what you’re not getting in through your diet, not a substitution for getting enough leafy green and varied color vegetables and proteins. Okay, so there’s a short list of my top favorite supplements for youth supplementation. So when your young athlete starts showing you various articles in the muscle magazines you can make an educated decision and tell them that there’s a few supplements that might be in their favor. But most of them are just marketing gimmicks to make a few bucks on the uninformed public. When it comes to nutrition and performance, whole foods and a good amount of protein, vegetables and well-balanced portion of carbohydrates (starches and minimal sugars) are going to be the big ticket to longevity and sustained gains in performance. When it comes to supplementation, the things that work are few and far between. What really works is constant exercise, hard weight training and a good foundation in nutrition. Without the basics, no amount of supplementation is going to elicit any sort of measurable results. If any of you have had this experience with your young athlete or yourself I’d love to hear some stories of your supplement usage or if you have questions feel free to comment below or connect with me on Facebook! A brilliant post, thank you so much. I do hope enough of the younger generation read it to avoid wasting the little money they have on buying all these marvellous (ha, ha) supplements that are supposed to create a wonderful body with no effort needed at all. Like dieting it’s all just a way of taking money off you as far as I’m concerned. Thank you for your honesty. No problem. I’m here to help you keep separating the facts from the fiction. I’m glad you enjoyed the post! I sincerely hope this post will reach a lot of young people and parents alike. Some of the garbage that’s out there nowadays just needs to be crushed. And the only way to do that is through education and knowledge. Share this post if you enjoyed it folks! I agree with most of your choices. However, I am not sure that I would necessarily encourage creatine supplementation without the caveat that the effects of long-term use have not been studied well. I appreciate your response. Yes, creatine is often highlighted in this fashion; however, there are some long term studies that show no adverse side effects with creatine supplementation. The reason I approve of creatine is that it is already produced in the body (in reference to ATP + Phosphocreatine stores in skeletal muscle) and it’s natural. You can find it in whole foods like steak and other meats, but in much reduced quantities that you can get in supplement form. Plus it has been one of the supplements that’s received more studies than nearly all other supplements other than whey protein. There’s enough positive evidence to convince me that it is safe when consumed in the prescribed doses of 5-10g / day. Any more has no additional benefit. As with every supplement there will always be people who fall off the bell curve and have problems with certain supplements. That’s just how the game works. There are so many different supplements out there on the market today that don’t have any research backing them. I’d rather have my young athletes taking something that is generally effective and has little adverse side effects than something that is completely untested and is simply a waste of money. I completely agree with everything you have said but try telling a young guy who just wants to get big, and as fast as possible! I’ve had the conversation with so many and sometimes there is no getting through. I also use whey protein but I keep it for when, and only when, I need some protein, I’m on the run and my only other choice would be something that will throw my ‘eat clean’ streak down the drain. Eating clean really requires one to be organized and have meals ready so you don’t reach for garbage. Yes, I know the feeling. Have him come down and chat with me here at Hostyle Conditioning and I can set him straight. I’m more than happy to take a young man by the horns and tell him how he’s not going to get big in a hurry any faster than his body will allow him. I know, because I was once that young man. There’s a lot of B.S. out in the world today, and I’m just here to help shed a little light on the darkness or gray areas that might be there. haha. I started reading this for supplements for me. Still useful though. I’m glad you enjoyed the post. You can check out one of my other post on my personal blog here that might be more useful. If you like I can also get you into my free forum section and can answer your questions personally. I wonder if you could provide comment on this recent study release? The commentary regarded in this study is nothing newsbreaking. Multi vitamins and mineral supplements are not designed to treat or cure diseases. They’re to aid in helping your avoid deficiencies which may be apparent in your diet. Nothing less and nothing more. Many supplements (in fact I would say all of them) do nothing without the combination of a good nutrition protocol and exercise program. Those two are the keys. Supplements are well, just that supplements to help assist those other two variables. If you don’t have the first two in order you have no reason to even be contemplating supplementation in the first place. PS I agree with most of the article, although the research doesn’t take some variables into account such as the ones I mentioned above. Research always is double sided. You have many claims pointed towards one directive and another pointed towards the complete opposite direction. I favor to use research as a starting point to start observing what happens in free living environments. That is the only way to make complete sense of anything at this point. I’ve never been a fan of supplementation as I feel that a person can get what they need from food. The only thing I take is a prenatal vitamin because I am nursing. 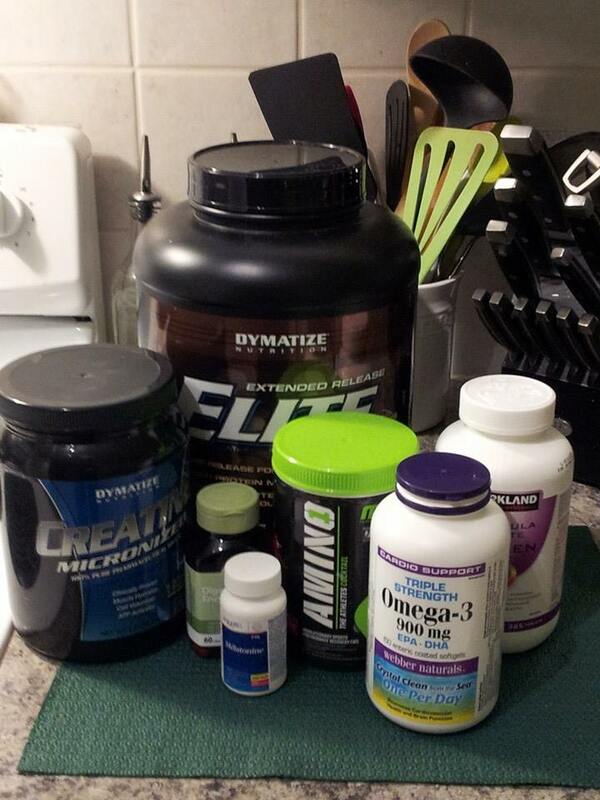 I eat right and run tons to I don’t need any additional supplements. @Maggie, sure a lot of people can get what they need simply from eating a balanced diet of the right foods…but how many people actually eat enough of the right foods? The real issue is what kind of things are lacking out of your diet and if supplementation can help. For athletes it’s hard to get the required amount of vitamins and minerals without supplementation at times. For people who aren’t active and exercising frequently, yes, you’re probably better off with just food–if you’re eating the right kinds of food. I daresay we categorize a lot of things nowadays as food, when it would more appropriately be called processed baby food and then real food-but I’ll get off on a tantrum here that is probably best left in the cage for now. We certainly are not eating the diet our great grandparents.I think everyone can use a supplementation,they just need to know which. Thanks for separating the facts from the fiction.